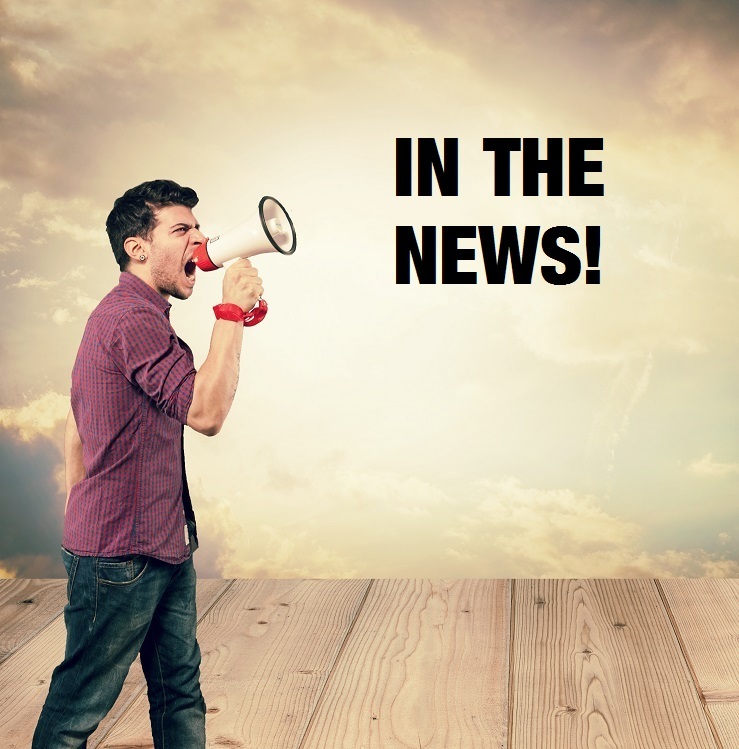 You can find publications of Bridgwater (GB) and the other partners in English. 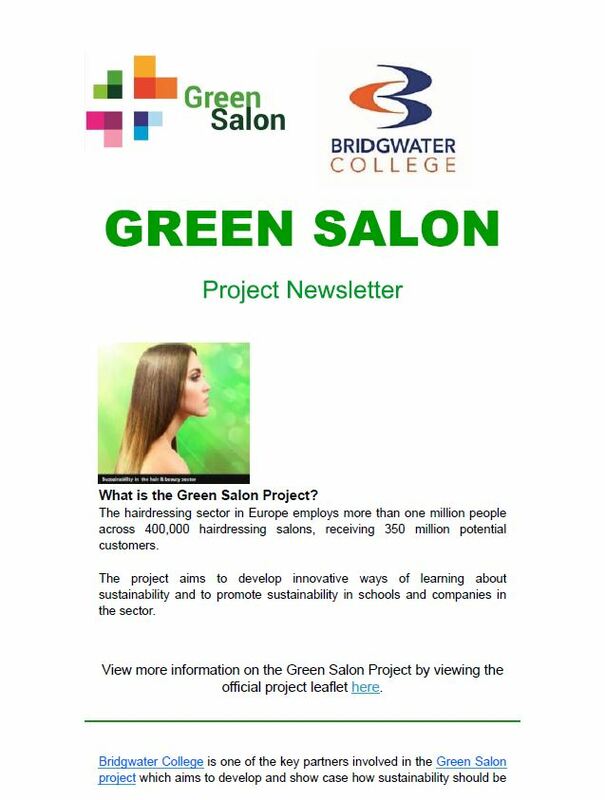 Bridgwater Collage campus organized and Employer evening focusing on Salon owners and their staff. It was led by Lucinda Vaughan and Karen may and the event was opened up by the Assistance Principle Jenny Ashworth. The team spoke about the project and what we were working on and the impact it was going to have.Â We discuss the project from the start and present an power point on the work we have achieved so far and our next goals for the future. 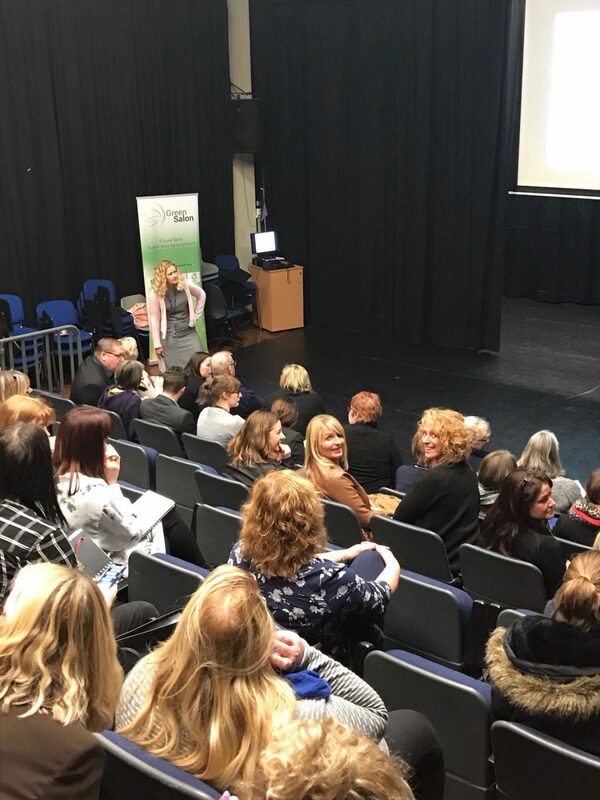 We spoke of how we were going to use the lesson material and how we were hoping to educate the next future of hairdressers and hairdressers that have been in Industry for a number of years. We had an open Q&A at the end and during which was very well supported and the team thought the audience really enjoyed the evening and gain information from it. The plan is to visit salon and help with their running and education of their team in the not so distance future. My name is Francisco Padilla Marín, I am teacher of professional training, specialized in hairdressing. I have decided to describe and evaluate my personal experience throughout my professional career for over more than 30 years, both as an employee, and employer but also as a teacher, in the hope that it could help future generations of hairdressers. My tasks at the beginning, like everybody else who had just finished training in hairdressing, was to sweep hair, clean the hairdressing salon and apply hair dying from time to time. Seeing it from a retrospective view, I realize now that there weren’t any health and safety prevention measurements taken, neither for the cleaning and disinfection of the salon nor for the application of dyes. I still remember perfectly the feeling in my hands, which were itching and burning while and after the application of some of those products, in addition to that they used to remain discoloured for a long time after using bleaches, reddened after the assembly of perms, wrinkled from the excess of water while hair washing, holding dark nails coming from the dyes which I was told to clean with bleach (lye). It was irresponsibility from us both, my boss and I, not to use gloves in any of these procedures. As a result of these and other negligences, I currently suffer from an irritant contact dermatitis that causes itching and pain when I'm in contact with some chemicals. After a few years, already as an entrepreneur, and once aware that I should take health and safety measurements, we always used latex gloves in my salon, even though they were not very suitable for hair washing since they pulled the hair, or plastic ones to check the processes. As time went by, I started suffering from a stubborn rhinitis which kept getting worse and worse. I even went through nasal septum surgery that didn’t help much, as I continued to suffer from the same symptoms. Other issues were, for example, hairsprays, which made my eyes and my employees become dry. Actually one of my employees had to be treated by both the ophthalmologist and the allergist for this reason. These doctors recommended more ventilation and not to inhale directly the different cosmetic preparations, so I chosed to eliminate those hairsprays, replacing them firstly with some without gas, and then ecological ones. But even though I was coughing much less, the rhinitis persisted. In addition to this, and as a result of the long working days performing repetitive movements, I suffered muscle contractures that caused back pain and headache; also the incorrect position of the hand when using the hand dryer caused an employee to get an injury in the carpal tunnel, which made her to feel pain and numbness in the fingers. 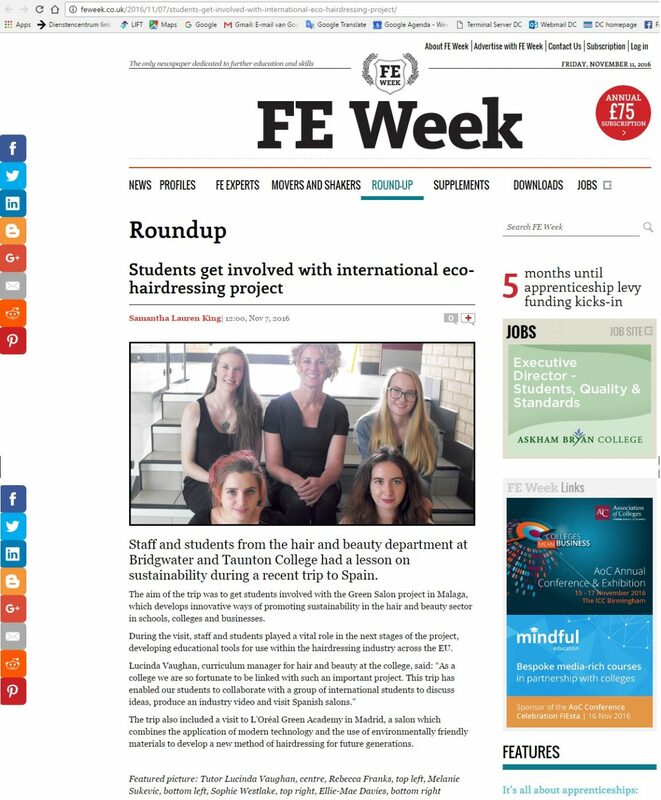 In 2010, I began my career as a teacher in the specialty of hairdressing, which also includes visiting the students that are doing their practicing period in different hairdressing salons, where I noticed that in many of them they keep committing the same malpractices that I used to do, as the non-use of gloves. 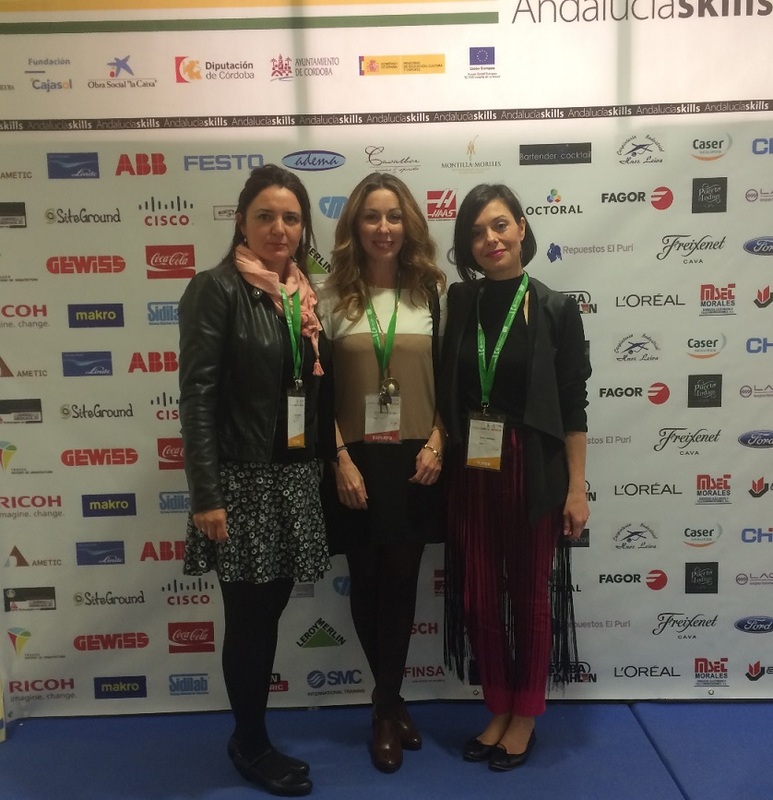 In the 2013/14 school year, I came to work at IES El Palo, where I participated in an European project called "Green’ability", which aimed to raise awareness on the need for recycling and taking actions into sustainability and health care, like using natural cosmetics. 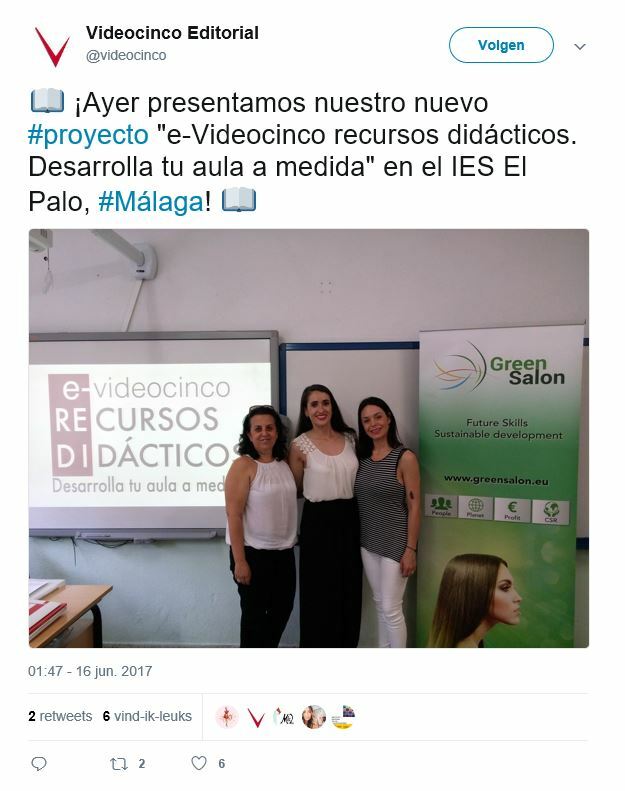 Within this project, I wrote an article about natural cosmetics and collaborated in the realization of the "Lookin'Green" parade that was held in Málaga, where natural and recycled materials as well as cosmetics with ecological certificate were used for make up, hairstyling and outfits. This experience marked a milestone; thanks to this I became even more aware of the need to deepen the subject of prevention in the world of Personal Image. 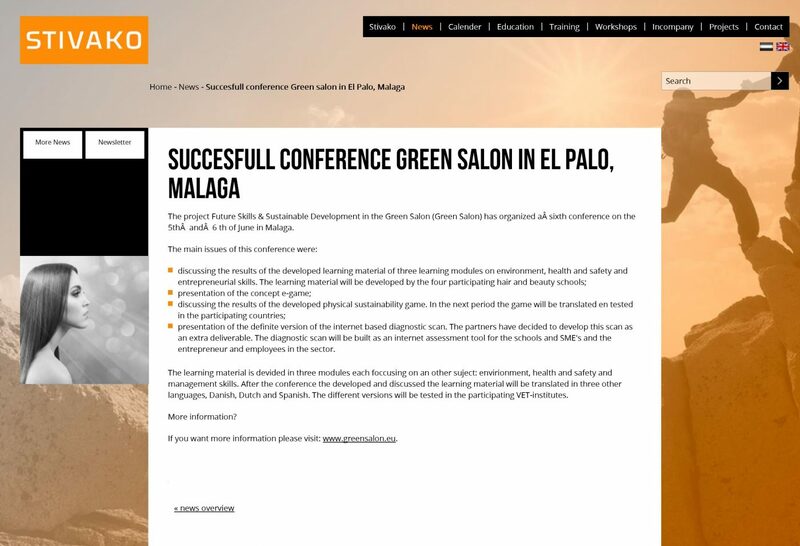 In the 2016/2017 school year I have returned to IES El Palo where another Erasmus+ project is taking place “Green Salons” which focuses more specifically on sustainability and safety in hairdressing salons, which is allowing to continue learning and raising awareness in these subjects. 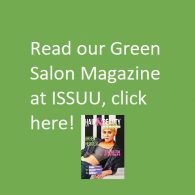 Before ending this article, I would like to encourage all the professionals to raise their awareness about the consequences of the intensive use of chemicals and water while working in a Salon. And for the hairdressing teachers, my humble advice: Our students should be rigorous when performing their tasks, for example, using vinyl gloves for headwashing and permanents, and nitrile gloves for the application of dyes and bleaches. 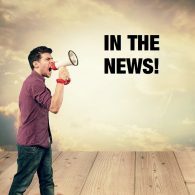 They must learn the health risks that our beloved profession involves but also contribute with their actions to an improvement of the environment. That is our responsibility. 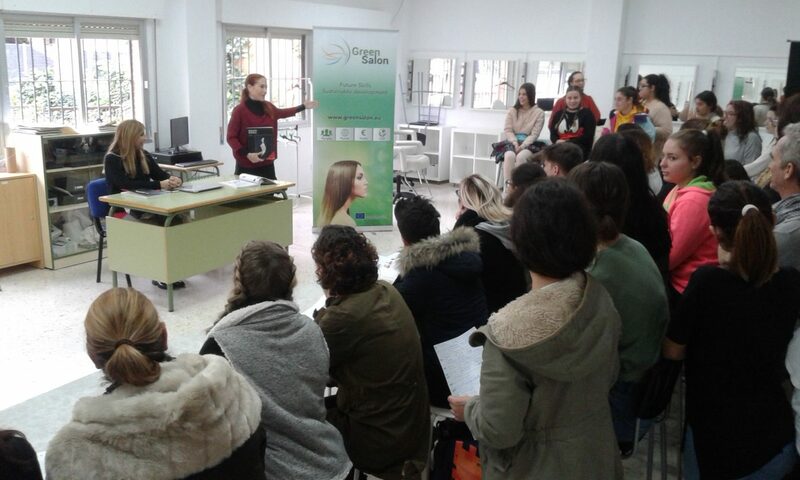 On the morning of Thursday, November 17, 2016, the secondary and VET School IES El Palo (Málaga) hosted the presentation of the latest book by Marta Guillén, “Asesoría estética” (Beauty advising); the presentation was held at the makeup classroom of the institution. Published by Editorial Videocinco, the most prestigious publisher in the field of personal image, it is the first of these characteristics that is published in Spain and one of the most complete that have been published in the world related to this subject, which is one of the branches that constitute the disciplines of image consulting. 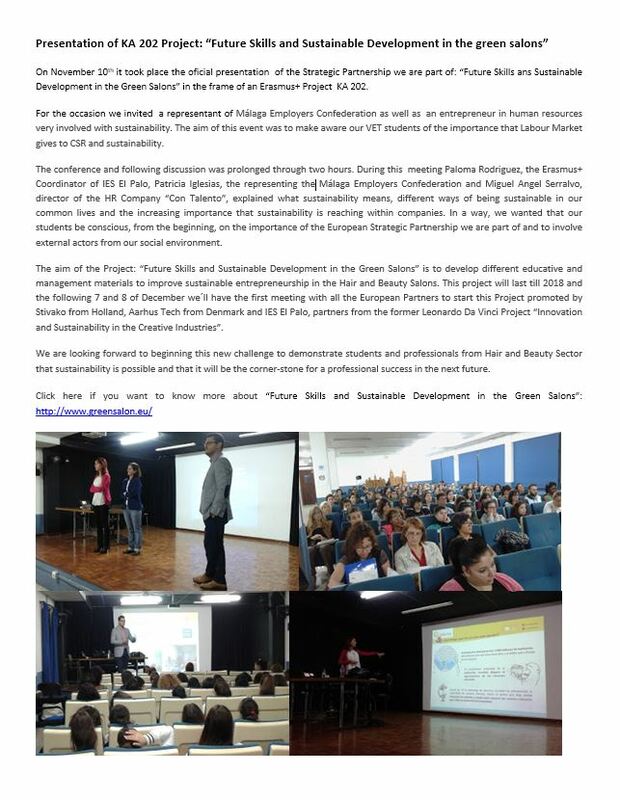 In the presentation, the author who is also a teacher of personal image in the institution, was seconded by her colleagues and many students who attended the event. 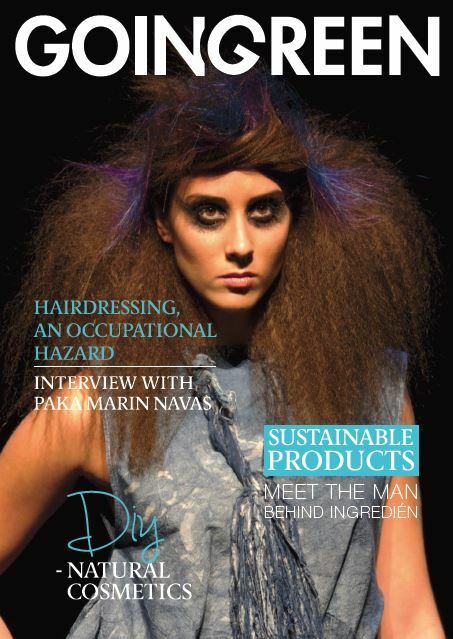 "With this book I have not only wanted to gather, classify and organize all the information that an image consultant needs to know, but also, I have done it trying to raise awareness about the importance of working in a sustainable way in the beauty and cosmetics world" said the author, who is also an active participant in the Erasmus+ KA202 project called “Future skills & sustainable development in the green salon” that aims to promote sustainability and health care in hairdressing and beauty salons. Already in an earlier publication, "Maquillaje" (Make up) the author broke a spear in favour of natural cosmetics and sustainability, including extensive information regarding the formulation of make up cosmetics, substances to avoid and damage they can cause, something that is unusual in the publications of the sector, with the intention of raising awareness among students about the importance of using safe and healthy products in sustainable environments. 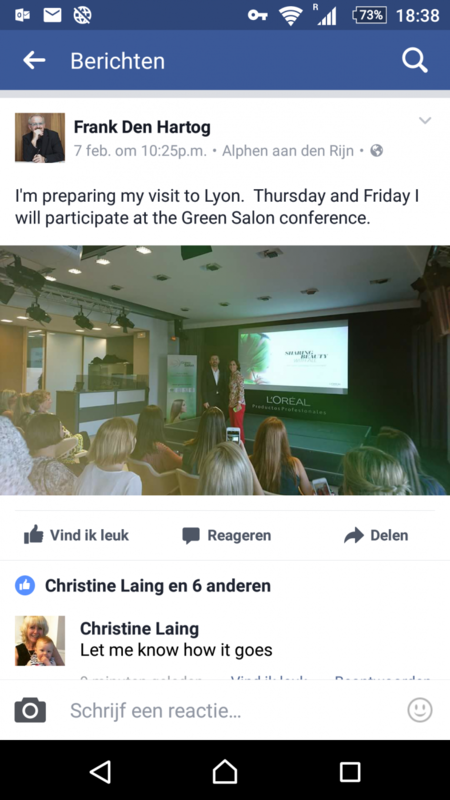 Marta Guillén, born in Seville but resident in the municipality of Rincón de la Victoria, Málaga, is an expert in image, makeup and beauty consultancy, having run her own salon and worked as an image consultant for several years, in addition to organising and coordinating courses for teachers in several fields within the beauty sector. Nowadays she combines her teaching work at IES El Palo with her love for writing, having nine solo publications and eight in collaboration with other authors, most of which are currently used as learning material by the students. 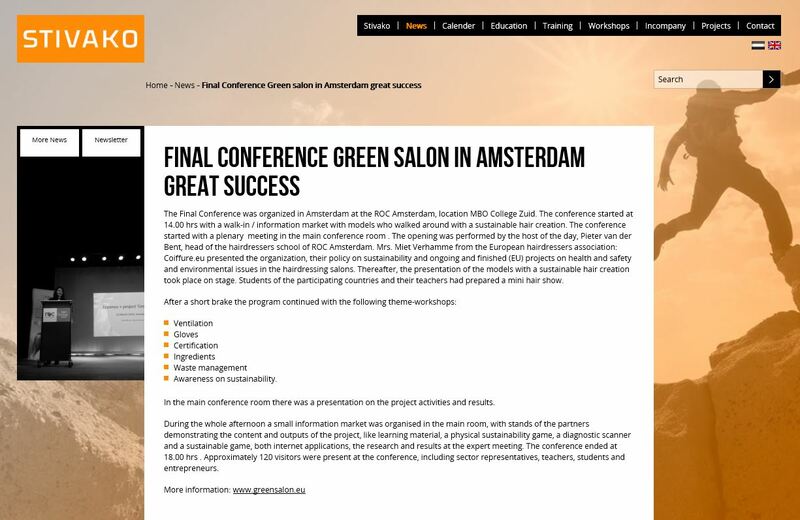 Besides of being currently participating in the Green Salon project, she also collaborated in the recently completed Leonardo Project about sustainability in the creative industry. 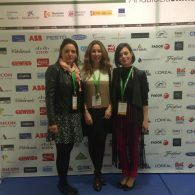 "It was thanks to this Leonardo project that I began to be aware of the reality of the world of cosmetics and the importance that it has to train the new generations of professionals with good values and principles" said the author. 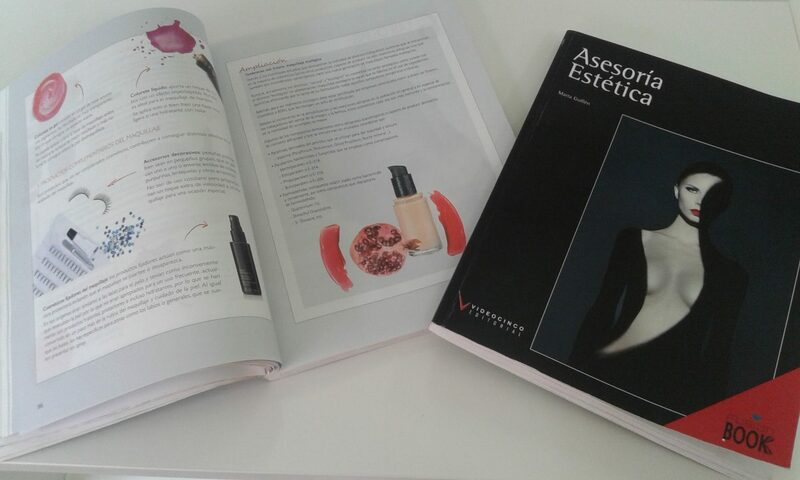 "Asesoría estética" is at present the only existing textbook for the subject of the same name that is included in the educational degree of Personal and Corporate Image Consulting. 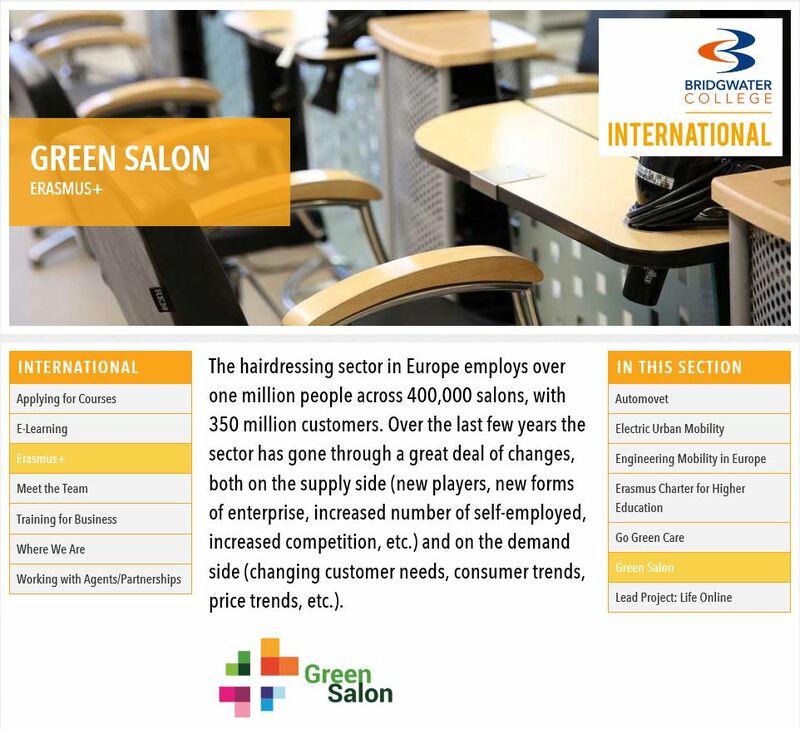 On the 26th of April a working session for teachers will take place in Marbella to discuss about new trends in Hair and Beauty Sector. 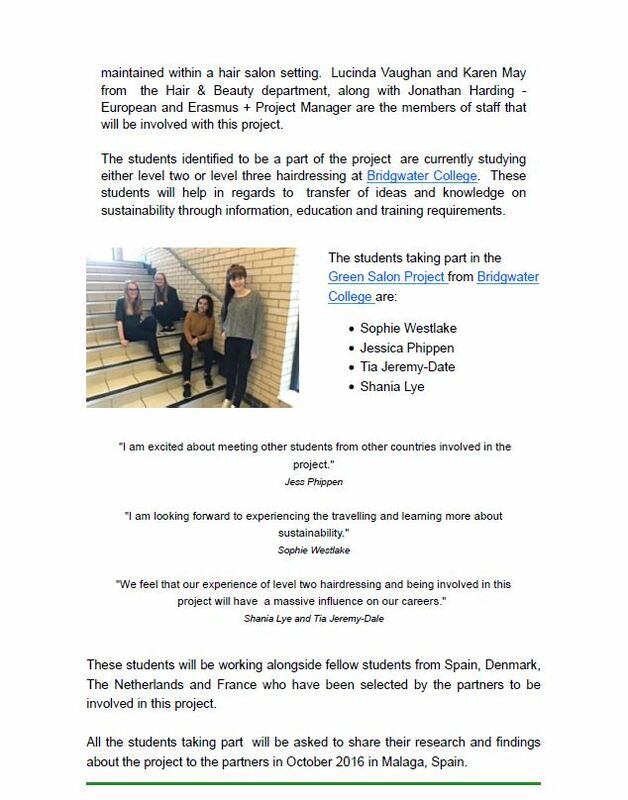 Our colleague Esther will assist to explain the importance of sustainability in the next future and all the incomes and learning material the European Project is developing to reach that goal.